UCLA lost six of their last seven games to end the season. BERKELEY—The UCLA Bruins lost their final game of the regular season, falling to the California Golden Bears 36-10 on Saturday, November 26. UCLA quarterback Mike Fafaul completed 12 of 30 attempts for 176 yards, one touchdown, and one interception in the Bruin’s eighth loss of the season. Running back Nate Starks rushed for 73 yards on 11 carries. Wide receiver Caleb Wilson recorded three receptions for 83 yards. The Bruins have lost six of their last seven games and will not make the playoffs. Despite this, Bruins head coach Jim Mora expressed confidence in his team moving forward. California quarterback Davis Webb threw for 301 yards including two touchdowns in the Golden Bears’ fifth win of the season. Running back Khalfani Muhammad rushed for a game high 116 yards; Malik McMorris ran for one touchdown. 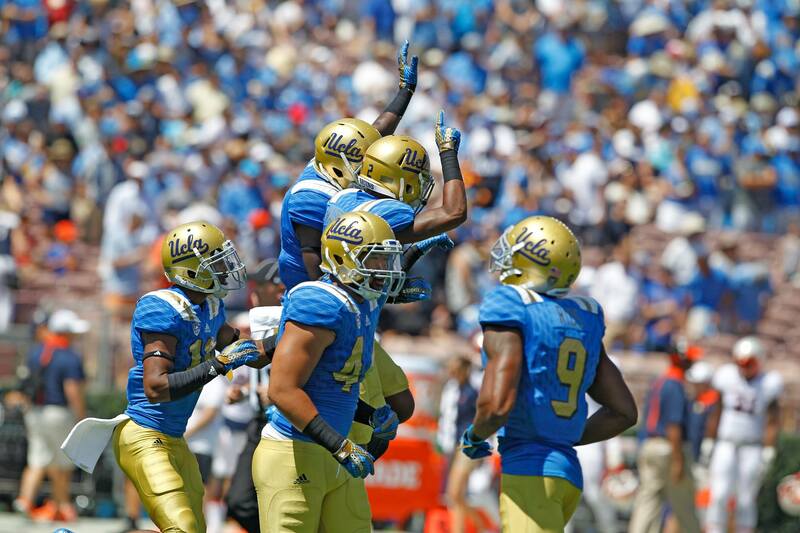 UCLA ended their season 2-7 in the Pac-12 and 4-8 overall. The Golden Bears are now 3-6 in the Pac-12 and 5-7 overall. They will wait for news on whether or not they will be selected to play in an upcoming bowl game.